Alexandria Ocasio-Cortez (or @AOC, as her twitter handle became a popular way of referring to her) has been a US Representative for less than two weeks, but she’s already demonstrating her leadership style. 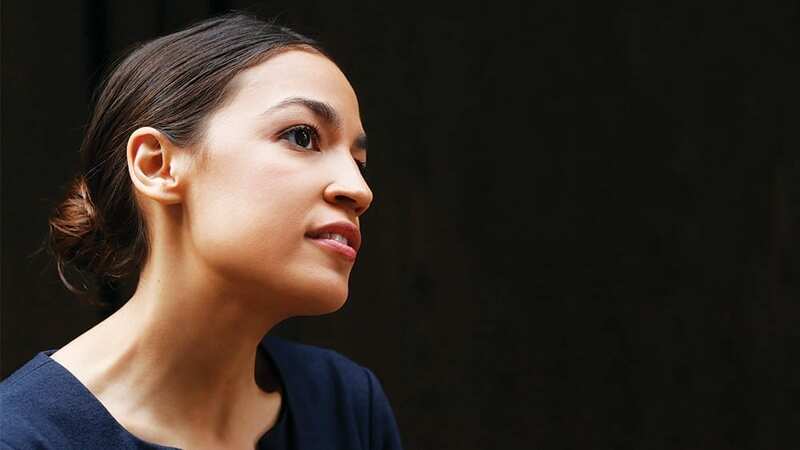 While her political beliefs are informed by being a “democratic socialist,” her approach to leadership feels strongly influenced by being a Millennial. AOC represents authentic, empowered leadership – that which is practiced by Millennials, and also sought by them. Understanding how she leads can be deeply instructive to leaders who wish to engage Millennials in their organizations. On January 6th, “60 Minutes” featured a long story on AOC. In her interview, she spoke clearly and powerfully about her political platform, her thoughts about the President and her response on how others view her. Though it was a typical “60 Minutes” piece, including a curious and slightly stern Anderson Cooper as her interviewer, what was more interesting to me was AOC’s Instagram story afterward. Instagram stories, short videos or static posts that disappear in 24 hours, are like a personal diary of daily activities. There’s also an intimate, home-movie aspect to them since they’re only accessible by one’s followers and after one day the videos disappear. In her Instagram story, AOC is on her bed, maybe in pajamas or a comfy-looking outfit. Her hair and makeup are not done, and she looks more like the picture of a grad student than a member of Congress. AOC looks directly into the camera and talks to her 1.6 million followers the way you could imagine her talking to a good friend. She talks about how nervous she was doing the “60 Minutes” piece, and how the experience is fraught, in that the stakes are high and you can’t control the story that is ultimately told about you. She contrasts the “60 Minutes” experience to social media, and she expresses how much she appreciates having the power to speak directly to people without being filtered by a narrative, edits or voice-overs. Congresswoman Cortez doesn’t pretend to be anyone besides whom she is in that moment – “a girl from the Bronx” – and whether she’s rocking a white pantsuit at her swearing-in ceremony, marveling at the underground tunnels that connect Congressional buildings, being revisited by a college video dancing with exuberance, or speaking passionately to young voters who have never participated in an election before, AOC is who she is. Authenticity is a big topic, and as a therapist/executive coach, I can attest that it can take a lifetime and a lot of practice to understand what authenticity actually means to each of us. In fact, if we’re truly being authentic, and not playing roles of whom we think we should be as a person or as a leader, then authenticity is truly an on-going practice and one that changes as we change. That said, leaders who wish to learn from AOC are invited to integrate their humor and playfulness into how they show up with those whom they lead. They are encouraged to be honest and not apologetic for what they believe in. They will be rewarded for being generous and empathic toward others, especially toward those who have less power and influence. Millennials want to know that leaders are real; they want leaders who are whom they say they are. They want leaders whose actions match their words. They want leaders who care about them and will fight on their behalf. They respect leaders who show up with honesty and vulnerability, as the human being that they are. Practicing these things – whether or not that includes an insta-story in your jammies – can go a long way in engaging and motivating Millennials.